Abstract: The recent Omnidirectional MediA Format (OMAF) standard specifies delivery of 360° video content. 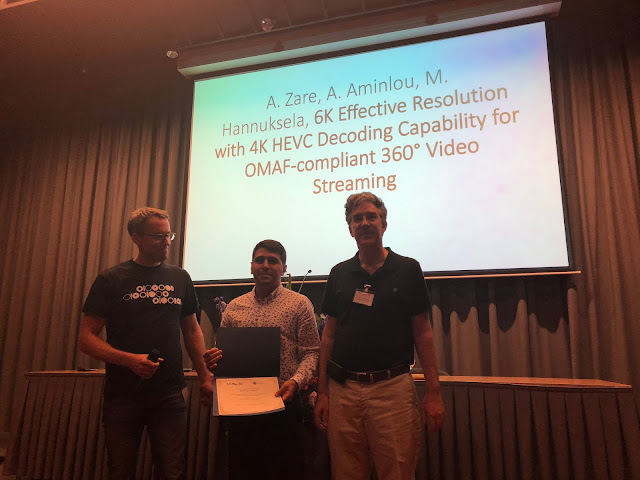 OMAF supports only equirectangular (ERP) and cubemap projections and their region- wise packing with a limitation on video decoding capability to the maximum resolution of 4K (e.g., 4096x2048). Streaming of 4K ERP content allows only a limited viewport resolution, which is lower than the resolution of many current head-mounted displays (HMDs). 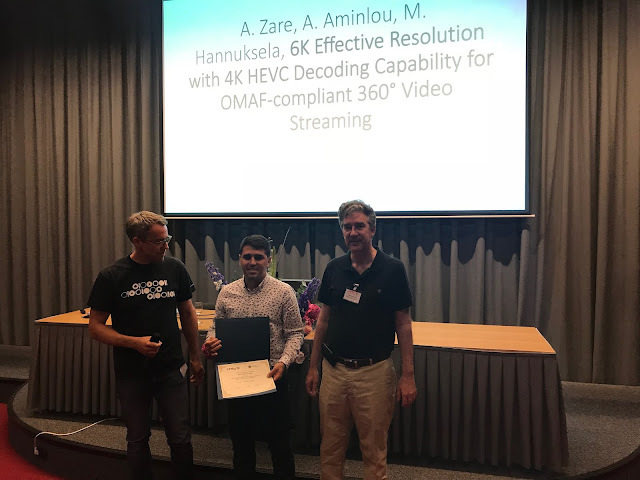 In order to take the full advantage of those HMDs, this work proposes a specific mixed-resolution packing of 6K (6144x3072) ERP content and its realization in tile-based streaming, while complying with the 4K-decoding constraint and the High Efficiency Video Coding (HEVC) standard. Experimental results indicate that, using Zonal-PSNR test methodology, the proposed layout decreases the streaming bitrate up to 32% in terms of BD-rate, when compared to mixed-quality viewport-adaptive streaming of 4K ERP as an alternative solution.